Rachel B. Herrmann is a Lecturer (Assistant Professor) in Modern American History at Cardiff University. She specializes in colonial, Revolutionary, and Atlantic history, with particular focus on food and hunger in the Atlantic World. She is interested in the ways that people used hunger to forge alliances and engage in violence, and curious about how hunger’s meanings have changed over time. Dr. Herrmann is originally from Manhattan, and earned her BA at Vassar College in Poughkeepsie, NY. She decided to go straight from undergrad to graduate school because she’s a huge nerd. 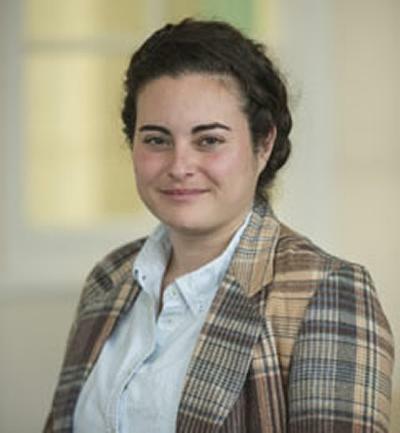 She completed her PhD in history at the University of Texas at Austin in 2013 after two year-long predoctoral fellowships at the McNeil Center for Early American Studies (in Philadelphia) and at International Security Studies at Yale (in New Haven). Before working at Cardiff, she worked as a Lecturer in Early Modern American History at the University of Southampton from 2013 to 2017. On this site you’ll find summaries of current research projects, links to academic and non-academic writing, and teaching resources. You can also find Rachel Herrmann blogging at The Junto and on Twitter.